Here at The Beauty Boutique we like to cater to everyone. Did you know that many men benefit from having permanent makeup on their brows? Whether it be for cosmetic or medical reasons we can help. 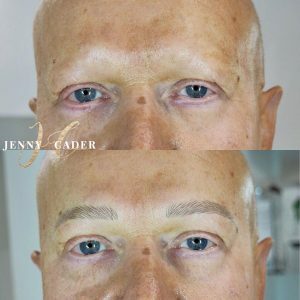 Here is an example of microblading for a male alopecia client that we have recently done. I really enjoyed doing this treatment. 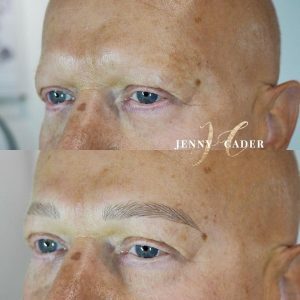 Not only because it made a change from the norm but it felt great to give brows back to someone who hasn’t had them for many years. Giving this confidence boost is such a great feeling. 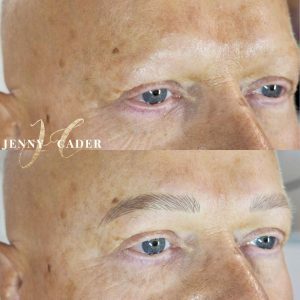 Microblading is a form of tattooing, using a small hand held blade with pins in and mineral pigments to emplant hair like strokes into the skin. Here are the before and after pictures. The colour will lighten and soften when healed in a few weeks. The aim was to create realistic illusion hairstrokes in a fuller more messy look than I would do a female brow. I hope you like the pictures.